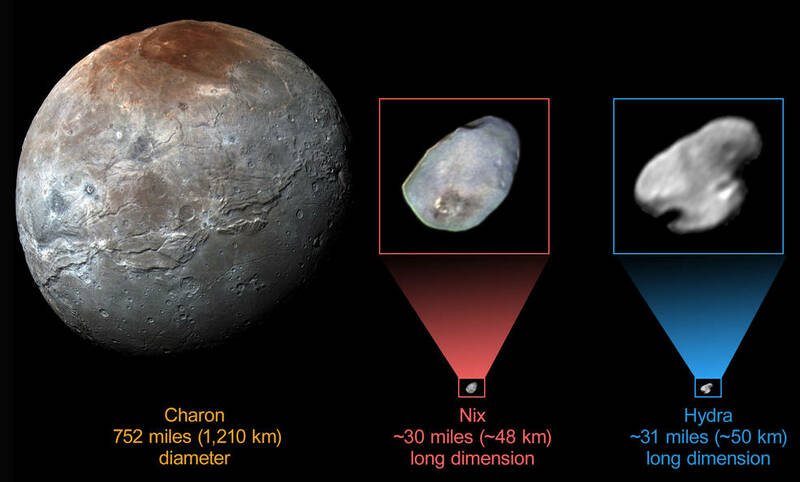 June 16, 2016 – A newly downlinked spectral observation of Pluto’s moon Nix from NASA’s New Horizons spacecraft provides compelling evidence that its surface is covered in water ice, similar to what the New Horizons team discovered recently for another of Pluto’s small satellites, Hydra. This new result provides further clues about the formation of Pluto’s satellite system. 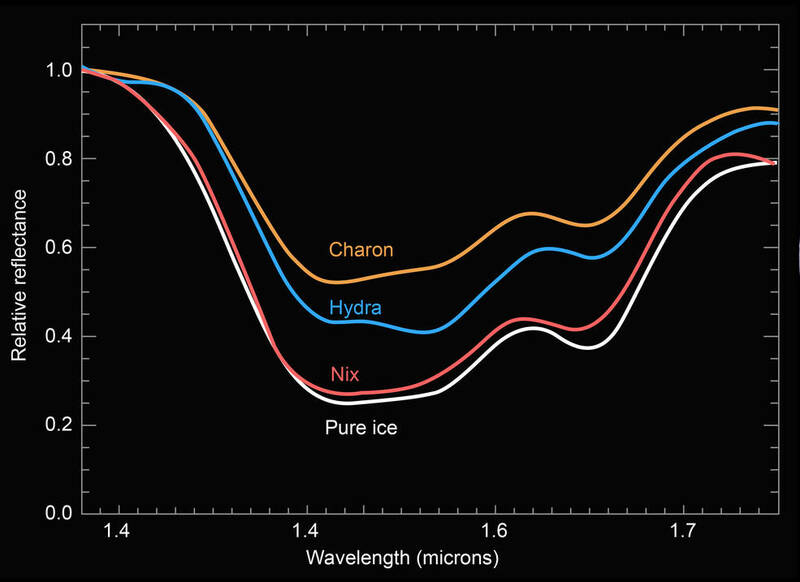 With this observation by New Horizons’ LEISA – the compositional spectral imager aboard the spacecraft – mission scientists also are piecing together a more detailed picture of Pluto’s system of four small, outer moons (Styx, Nix, Kerberos and Hydra).